Johanna Andre Ljung has been named as the winner of Polstjärnepriset 2018, following last nights final in Gothenburg. 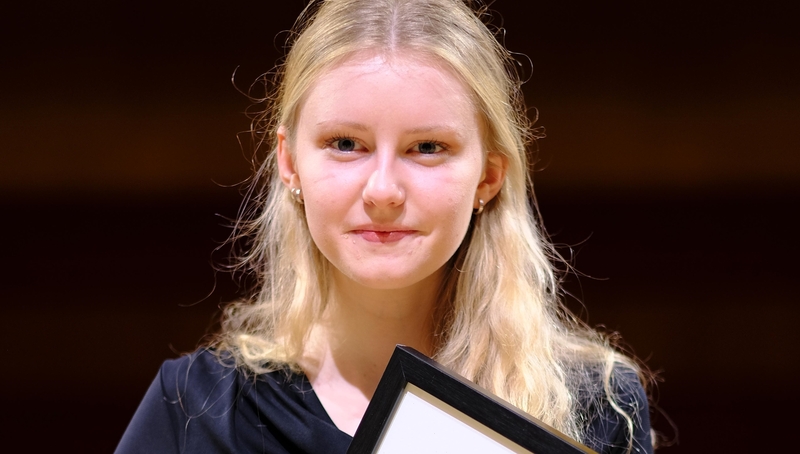 Harpist, Johanna Andre Ljung has won Polstjärnepriset 2018, beating off competition from three other talented musicians. Last night saw the final of Polstjärnepriset held in Gothenburg as each of the finalists performed alongside the city’s symphony orchestra. With obvious musicality and elegance, the winner shows her superior mastery of the instrument’s rich dynamics and sound palette. Johanna Andre Ljung has been awarded a prize of 50,000 SEK and a course at the Musikakademi Vänersborg. SVT the Swedish national broadcaster has the final say on who will represent Sweden in Edinburgh.